From time to time, I come across very cool technologies coming to the world of interior design. In the past, I’ve introduced you to Smart Lighting systems, which together give you control over the lighting of your home. There are other products out there that give you wireless control over the HVAC system of your home too. 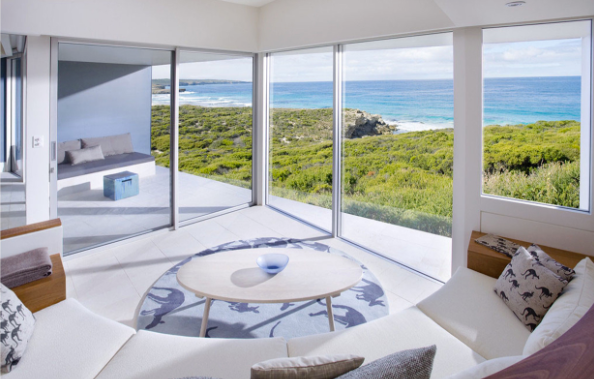 Ever fascinated with advances in home automation, I wanted to share one of my more recent discoveries: the future of modern window treatments, the digital shade. Essentially, a digital shade is a film that you can apply to existing windows, much like traditional window tint. Digital shades, however, allow you to control the amount of light that passes through the window itself. Digital shades, like the ones being developed by SONTE, use an innovative film that reacts to changes electrical current. When a charge is passed through the film, the transparency of the film (and the window it’s affixed to) is reduced giving you instant privacy. It’s easier to understand the effect by watching this video. 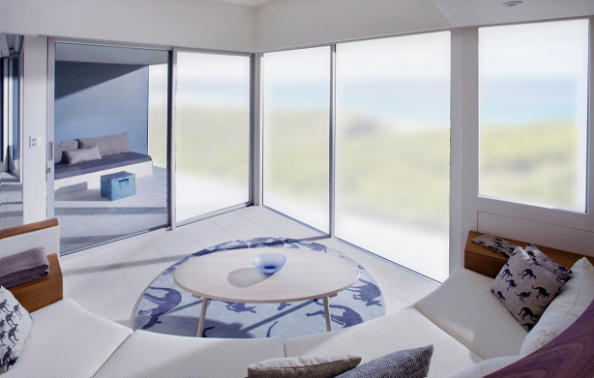 Digital shades not only offer you privacy in your bedroom, bathroom, home office, or home theater, they also help control the interior temperature of your home by controlling the amount of sunlight that comes into your home, blocking UV rays, and reflecting infrared. A triple threat! No longer will you have to worry about forgetting to close your blinds during the hot summer months (or actually having to walk over to the window to do it), as these WiFi enabled digital shades can give you instant control over your windows with the swipe of a finger on your mobile device. You can read more about SONTE’s digital shades here. What do you think about digital shades? Would you install them in your home? Let us know what you think in the comments below.